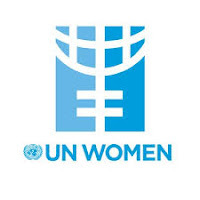 Background: UN Women, grounded in the vision of equality enshrined in the Charter of the United Nations, works for the elimination of discrimination against women and girls; the empowerment of women; and the achievement of equality between women and men as partners and beneficiaries of development, human rights, humanitarian action and peace and security. UN Women Tanzania is implementing its Strategic Note (2017-2021), under which one of the priority areas is women’s leadership and political participation. The Women’s Leadership and Political Participation Project (Wanawake Wanaweza) Phase II (2017-2021) builds on Phase I (2014 – 2017), and continues to promote gender equality and the empowerment of women as per UN Women’s global mandate and supports the Government of Tanzania as a Member State to the United Nations to implement international standards, providing suitable technical and financial assistance. The second phase of the project aims at achieving the overarching goal/impact “Women lead and participate in decision-making at all levels” building on the momentum created and gains made from the first phase. The project is in line with the UNDAP II outcome “Women and girls increasingly participate in political and public life and are elected to leadership positions”, the UN Women Tanzania, Country Strategic Framework 2017 – 2021; the UN Women Global Flagship Programme Initiative on Women’s Political Empowerment and Leadership, as well as, national gender policy, the SDGs (in particular, Global Goal 5 dedicated to ‘achieve gender equality and empower all women and girls’, CEDAW and other international and regional commitments, such as the African Union Agenda 2063. The project operates on three main areas to effect change and progress in relation to increasing women’s leadership and political empowerment. Firstly, the policy and institution level (policies, laws, standards, norms and practices) to ensure these promote and regulate the increase in women’s leadership at all levels. Secondly, at the individual level, to strengthen capacities of women to conduct competitive, well resourced and innovative campaigns. Thirdly, at the community level, where norms, attitudes and practices often undermine women’s rights and gender equality, efforts will work towards reverting these to promote women as accepted, legitimate political leaders. 2) The Technical Committee is composed of Responsible parties with the aim of enhancing collaboration and synergies. Additionally, within the United National Development Assistance Programme (UNDAP), UN Women leads the Outcome Group on Women’s Leadership and Political Participation within the Thematic Results Group on Governance, Human Rights and Gender Equality. Reporting to the Programme Manager on Women’ Leadership and Political Participation, the Coordination Analyst will provide support to the WLPP Programme colleagues in leading and organizing the three main coordination mechanisms part of the WLPP thematic area. Preparation and planning for WLPP meetings to ensure efficient coordination and management of the UNDAP WLPP OG including information management and communication with the members; actively support the Chair and relevant members and the development of annual work plans and reports. In coordination with the Monitoring and Reporting Analyst, produce updates for the WLPP Project Steering Committee, Technical Committee and the WLPP OG and respective TRG meetings on the progress of the project’s efforts to promote WLPP. Contribute to knowledge management initiatives on WLPP to support communication and resource mobilization efforts and participate in different fora for exchange of knowledge on WLPP. Support WLPP discussions, joint advocacy and coordination on strategic issues and processes including Beijing+25, CEDAW, Sustainable Development Goals, development of Country Gender Policy and follow up on key policy initiatives. Masters’ Degree in Development Studies or Social Sciences, or other relevant field. Gender or Human Rights Studies a strong advantage. 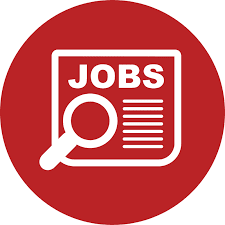 Previous international and country level experience with the United Nations preferably on UN interagency coordination and reform – delivering as one or joint programming or with bilateral missions or organizations. Experience in working with multiple stakeholders and multi-sectoral responses essential: DPs, governments, and civil society/NGOs, on advocacy/communications on gender and development and gender mainstreaming. Experience in project/programme development/planning, monitoring and reporting essential. Familiarity with UN Women and its mandate and strategic priorities a strong advantage. Knowledge about the UN and RC systems would be an advantage. Fluency in both written and spoken English (English as a native language is a strong advantage). A letter of interest (in English) indicating availability for the assignment. The payment is in the form of a lump sum monthly payments after certification of deliverables.